1) (1458, Lord Graham; 1504, Earl; 1644, Marquess; and 1707, Duke of Montrose). Quarterly, 1st and 4th, or, on a chief sa. three escallops of the field, for Graham; 2nd and 3rd, ar. three roses gu., for the title of Montrose. Crest—A falcon ppr. beaked and armed or, kilIing a stork ar. armed gu. Supporters—Two storks ppr. Motto—Ne oblie. 2) (Braco, co. Perth; from the second eon of the third Earl of Montrose, bart. 1625, extinct). Quarterly, 1st and 4th, or, on a chief engr. sa. three escallops of the field; 2nd and 3rd, ar. three roses gu., far Montrose. Crest—Two hands issuing out of a cloud, in each a sword, the dexter flourishing aloft, the sinister in a defensive posture. Motto—Defendendo vinco. 3) or Graeme (Orchill, co. Perth; from the third son of the second Earl of Montrose; heiress m. David Graham, a cadet of Inchbrakie, and their line also ended in an heiress). Quarterly, 1st and 4th, or, a boar’s head couped gu. on a chief sa. three escallops of the first; 2nd and 3rd, ar. three roses gu., for Montrose. Motto—Prosequor alis. 4) (Killearn, co. Stirling; from William Graham, Rector of Killearn, son of the second Earl of Montrose). Quarterly, as Montrose, within a bordure quarterly gu. and sa. Crest—A falcon ppr. beaked and membered gu. Supporters—A falcon and a stork both ppr. Motto—Praediae memor. 5) or Graeme – (Inchbrakie, co. Perth; from a younger son of the first earl, and now the latest cadet of Montrose). Or, a wall fessways ar. broken down in some parts, in base a rose gu. on a chief sa. three escallops of the first. Crest—A dexter hand holding a garland ppr. Motto: A Deo victoria. 6) (Bucklyvie, co. Stirling; cadet of Inchbrakie). Or, a stag courant betw. three roses gu. on a chief sa. as many escallops of the first. Crest—A stag lodged gu. Motto—Cubo at excubo. 7) (Gorthie, co. Perth; cadet of Inchbrakie). Or, three roses within a bordure gu. on a chief sa. as many escallops of the field. Crest—Issuing from a cloud two arms erected and lifting up a man’s skull encircled with two branches of palm, and on the head a marquess’s coronet all ppr. Motto—Sepulto viresco. 8) (Graemeshall: cadet of Gorthie). Or, a lion ramp. az. betw. three roses gu. on a chief sa. as many escallops of the field. Crest—A lion couchant lying under a sword in pale ppr. Motto—Nec timide nec temere. 9) (Breckness, co. Orkney). Or, a lion’s paw erased and erected betw. three roses gu. on a chief sa. as many escallops of the field. Crest—A lion’s paw, as in the arms, grasping a sword erected in pale ppr. Motto—Nec temere nec timide. 10) Graham-Stirling – (Duchray; cadet of Inchbrakie, as recorded 1798). Quarterly, 1st and 4th, ar. on a bend engr. az. betw. two roses gu. three buckles or, for Stirling; 2nd, or, a wall broken down in some parts az. betw. a crescent in the collar point and a rose in base gu. on a chief engr. sa. three escallops of the field, for Graham; 3rd, ar. a saltire engr. az. on a chief of the last three stars of the field, for Murray. Crest—An eagle displ. ppr. in his dexter talon a sword, in his sinister a pistol of the last. Supporters—Two lions ar. crowned or. Mottoes—For right; and, Noctes diesque praesto. 11) (Callendar, co. Stirling; descended from a younger brother of the first Earl of Montrose). Or, a man’s heart gu. ensigned with an imperial crown ppr. on a chief sa. three escallops or. Crest—An escallop or. Motto—Spero meliora. 12) (London, 1779). As the last, with the chief engr. for diff. Crest—An oak sprig with an acorn in the cup ppr. Motto—Alteri proses saeculo. 13) (Dumblane, 1672). Ar. on a chief sa. three escallops or, for diff. a crescent of the second surmounted by a mullet of the third. Motto—Non oblie. 14) (Fintry, co. Stirling, afterwards co. Fonar; descended from Robert, son of Sir William Graham, of Kincardine, by his second wife, the Princess Mary, dau. of Robert III.). Or, three piles sa. within a double tressure flory counterflory gu. on a chief of the second as many escallops of the first. Crest—A phoenix in flames ppr. Motto—Bon fin. 15) (Claverhouse, co. Forfar; cadet of Fintry, 1688, Viscount Dundee, title extinct. 1700). Or, three piles wavy sa. within a double tressure flory counterflory gu. on a chief of the second as many escallops of the first. 16) (Potento, co. Forfar). As the last, with the chief indented for diff. Crest—A flame of fire ppr. Motto—Semper sursum. 17) (Duntroon, co. Forfar; became representative of Claverhouse, 1703, now paternally Stirling). As Claverhouse, with the chief engr. for diff. Crest—A flame of fire ppr. Motto—Recta sursum. 18) or Graeme – (Garvock, co. Perth; from a younger brother of the first laird of Fintry). Or, three piles gu. on a chief sa. as many escallops of the first. Crest—A lion ramp. gu. Motto—Noli me tangere. 19) (Balgowan co. Perth, 1814; Baron Lynedoch; title extinct 1843). (Murray-Graham, of Murrayshall). Or, three piles sa. within a double tressure flory counterflory gu. on a chief of the second a rose betw. two escallops of the first. Crest—A dove ppr. afterwards an eagle ppr. Suppourters—Dexter, a dapple grey horse reguard. bridled ppr. ; sinister, a peasant of Andalusia, habited and bearing on the exterior shoulder a hoc ppr. Motto—Candide et secure. 20) (Earl of Strathcarn, Menteith, and Airth. Earldom of Airth claimed by Mrs. Barclay Allardice). Quarterly, 1st and 4th, or, on a chief sa. three escallops of the field; 2nd and 3rd, or, a fess chequy az. and ar. in chief a chevronel gu., for Stewart, of Strathearn. Crest—A falcon’s head ppr. Supporters—Two lions guard, gu. Motto—Rycht and reason. 21) (Gartur, co. Stirling; descended from second son of second Earl of Menteith, eventually representative of the line, and now extinct). Quarterly, as the last. Crest—A dove rising with a twig of palm in her beak ppr. Motto—Peace and grace. 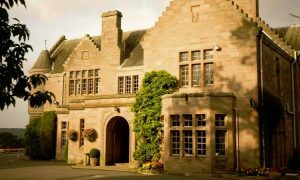 22) (Gartmore, co. Stirling; bart. 1665, title extinct; claims to be heir male of the Earls of Menteith). Quarterly, 1st and 4th, or, a pale gu. charged with a crescent ar. on a chief sa. three escallops of the field; 2nd and 3rd, or, a fess chequy az. and ar. in chief a chevronel gu. Crest—An eagle displ. in his dexter paw a sword in pale ppr. Supporters— Two lions guard, ppr. Motto—For right and reason. 23) (Viscount Preston; peerage extinct). Quarterly, as Eart of Menteith, with a crescent gu. in the centre of the quarters. Crest—A demi vol ppr. Supporters—An eagle and a lion, both erm. armed gu. and crowned with ducal crowns or. Motto—Reason contents me. 24) (Eske, co. Cumberland, bart., 1629). (Norton Conyers, co. York, bart., 1662). As the last but without the supporters. 25) (Netherby, co. Cumberland, bart., 1783). As the last. Crest—A crown vallery or. Motto—Reason contents me. 26) (Kirkstall, co. York, bart., 1808). Per pale indented erminois and sa. on a chief per pale of the last and or, three escallops counterchanged. Crest—Two armed arms issuing out of the battlements of a tower ppr. holding an escallop sa. Motto—Fideliter et diligenter. 27) (Morphie, co. Kincardine. The present Grahams, of Morphie, are paternally Barclays, descended from a maternal aunt of the last of the old line). Sa. a chev. betw. three escallops ar. 28) (“Master Robert Graham, citizen in London and taylor to his Majestie, lineally and lawfully descended of the house and familie of Morphie, in the Kingdom of Scotland,” 1680). Sa. on a chev. ar. betw. three escallops or, a rose gu. barbed vert. Motto—Hinc decus inde tegmen. 29) (Airth, co. Stirling, 1730). Quarterly, 1st and 4th, or, on a chief sa. three escallops of the first; 2nd and 3rd, ar. a fess embattled betw. three roses gu. Crest—A dexter hand holding a sword in pale ppr. Motto—Non immemor. 30) (Burntshields, co. Renfrew, 1854). Or, on a chief erm. three escallops of the field. Crest—A falcon ppr. beaked and armed, and killing a stork ar. armed gu. Motto—Ne oublie. 31) (Glasgow, 1817). Or, on a chief ermines three escallops of the field. Crest—An eagle reguard. rising from the top of a rock all ppr. Motto—Souvenez. 32) (Meiklewood, co. Stirling). Or, on a chief embattled sa. three escallops of, the field. Crest—A star ppr. Motto—Auxiliante resurgo. 33) (Dougalstone, now Graham-Camprell, of Shirvan, co. Ayr). Or, a heron volant ppr. on a chief sa. three escallops of the field. Crest—An escallop or. Motto—Pignus amoris. 34) (Newark). Or, on a chief sa. three escallops of the field, in base a boar’s head erased of the second. Crest—A pelican’s head couped ppr. Motto—Fides et amor. 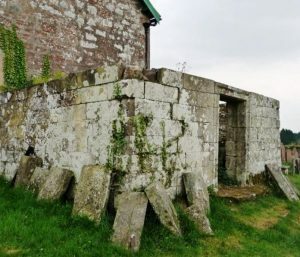 35) (Limekilns). Or, a buckle az. betw. three cinquefoils gu. on a chief engr. sa. three escallops of the field. Crest—A naked arm rising brandishing a spear both ppr. Motto—Pro rege. 36) (monument in Elmley Castle Church, 1699; Elizabeth, second wife of Thomas, first Earl of Coventry, and dau. of Richard Graham). Or, on a fess sa. three escallops of the field, a crescent gu. for diff. 37) (granted to the co-heirs of Arthur Graham, Esq., of Hockley Lodge, co. Armagh). Or, a bordure sa. on a chief of the second three escallop shells of the first. 38) (Governor of Drogheda, Sir James Graham, Knt. ; his only dau. and heiress, Ellen, m. Sir Arthur Rawdon, second bart. of Moira; Fun. Knt. of Sir George Rawdon, first bart., d. 18 Aug. 1684). Ar. on a fess sa. three escallops of the field, a canton erm. 39) (Drumgoon, co. Fermanagh, and Ballinakill, co. Galway; confirmed to Robert Graham, of those places). Or, a rose gu. barbed and seeded ppr. on a chief sa. three escallops of the first. Crest—An arm embowed vested az. cuffed ar. the hand ppr. grasping a staff raguly gu. Motto—Ratio mihi sufficit. 40) (Vicar of Ashampstead, Berks, formerly Westerkirk, co. Dumfries). Or, on a bend sa. three escallops of the field. Crest—An eagle preying on a heron ppr. Motto—N’oublie. 41) (Savage-Graham; exemplified, 27 July, 1878, to Charles Russell Graham, of Clonboo, co. Tipperary, gentleman, son of Hugh Graham, of Belfast, merchant, deceased, by Charlotte Selina Savage, otherwise Graham, his wife, also deceased, on his assuming by royal licence the surname of Savage, in addition to and before that of Graham and the arms of Graham). Quarterly: 1st and 4th, Graham, or, on a chev. gu. betw. in chief two escallops of the 2nd, and in base a trefoil slipped vert, a tower ppr. ; 2nd and 3rd, Savage, gu. six lions ramp. ar. three, two, and one betw. two flaunches or, each charged with a rose of the first, barbed and seeded ppr. Crests—1st, Graham: An eagle, wings endorsed ppr. charged on the breast with an escallop ar. and holding in the beak a trefoil slipped vert; 2nd, Savage: A lion’s gamb erect or, charged with a rose gu. barbed and seeded ppr. This is a habitational surname denoting a person who was from Grantham in county Lincolnshire, England a town recorded in the Domesday Book (a survey of England and Wales ordered by William the Conqueror in 1086 AD) as Graham, Grantham, Grandham, and Granham. The town name means “the homestead (ham) on the gravel” deriving from the Old English word grand, meaning gravel. Alternatively, some believe the town may have derived from the old personal (first) name Granta, hence meaning Granta’s homestead. Another author, in his book An Etymological Dictionary of Family and Christian Names, states the name derives from the Anglo-Saxon grim, Dutch grim, the German grimm, the Welsh grem, and the Gaelic gruaim, meaning surly, sullen, dark, and having a fierce and stern look, perhaps courageous. William de Graegham, the progenitor of this illustrious family, was born in Normandy France around 1050 AD, the son of William and Emmeline, and he came to Lincolnshire, England. His son was Alan de Graegham, born in Grantham, Lincolnshire, England around 1080 AD. He had a son named Sir William Graham of Aberborn and Dalkeith who was born in Grantham Graeg Ham, England around 1097 AD. He had two sons: Peter and John. 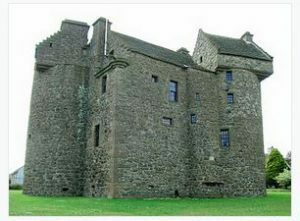 His son John was born in Monrose Castle in Angusshire, Scotland around 1125 AD and he had two issue: William and Isabel, whereas his other son Peter was born in Dalkeith, Midlothian, Scotland around 1123 and he had a son named Henry. In 1128 AD, King David I granted the lands of Abercorn and Dalekith to William de Graham. In 1243 AD, Henry de Graham inherited the estates of his father in law in Eskdale. 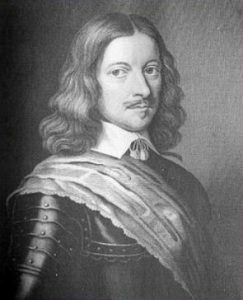 A one Sir John de Grahame was a support of the famous Scottish patriot William Wallace and died at the Battle of Falkirk in 1298 AD. Another theory, mentioned by Mark Antony Lower in his book Patronymica Britannica is that this patronymic derived from Greme, a regent of Scotland during the reign of King Eugene II in 419 AD who had “many engagement with the Britons, and by forcing that might rampart they had reared up between the rivers of Forth and Clyde, immortalized his name so much, as that to this day entrenchment is called Graham’s Dyke”. George Fraser Black’s 1946 book The Surnames of Scotland, states the following in regard to this last name: “The name of an illustrious family of Anglo-Norman origin which settled in Scotland early in the twelfth century. The name is derived from Old English grasgham, ‘grey home,’ from the manor of that name (temp. Domesday Book). 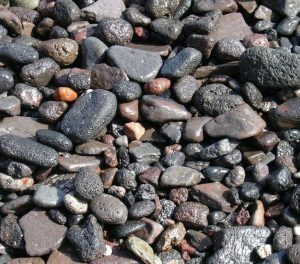 The popular derivation from a chief named Grim or Gram who broke through the wall of the emperor Antoninus between the Forth and Clyde in 420 A.D., which afterwards from him became known as ‘Graham’s Dyke,’ is nonsense. This legend, says Freeman the historian of the Norman Conquest, illustrates “the old-fashioned principle which has done so much to discredit genealogy and heraldry in the eyes of sensible men, that any exploded myth, any rubbish in fact, is good enough for family history It is almost incredible that a legend, which would now-a-days raise a laugh even in a Board school, should be gravely offered for the credence of our herd-headed colonial cousins.” The first of the name recorded in Scotland is William de Graham who received from David I the lands of Abercorn and Dalkeith and is witness to several of that king’s charters. The earliest in which his name appears is commonly said to be the foundation charter of Holyrood Abbey . This charter, as was usual in those times, is undated, but as the Chronicle of Melrose records the foundation of the Abbey in 1128 the charter has been assumed to be of the same date. William de Graham, however, appears in a charter the date of which Sir Archibald Lawrie places c. 1127. William de Graham next appears in a confirmation by King David of a grant by Gospatric frater Dolfini of Ederham and Nesebit to the monks of St. Cuthbert of Derham , and c. 1141 he was one of the perambulators of the bounds of Clerchetune (now Clerkington) in Haddingtonshire. Henry de Graham, a great-grandson of this William, married the daughter of Roger Avenel, on whose death in 1243 he became possessed of the Avenel estates in Eskdale. The Grahams or Grahames were very numerous in Liddesdale and the Debateable Land, occupying almost the whole of the southern portion of the latter district, and also a portion of the northern or Scottish side. A sept of the Cumberland Grames, consisting of 124 persons, under their chief, “Walter, the gude man of Netherby,” being troublesome on the Scottish Border in 1606 were transplanted from Cumberland to Roscommon in Ireland. Sir John de Grahame of Dundaff, the faithful friend of the patriot Wallace, was slain at the battle of Falkirk, 1298. From the War of independence downwerds the Grahams have taken a prominent part in the affairs of Scotland, the two most outstanding individuals of the name being James Graham, first marquess of Montrose, who carried on the war in Scodand for Cherles I, and John Graham of Claverhouse, Viscount Dundee, who fell at Killiecrankie in 1689. In the Roll of the Scots Guards in France the name appears as Giresme, and on the Highland Border it was used as an Englishing of M’Gillemhearnaig, a sept name in the Graham country”. Common spelling variants or names with similar etymologies include Graeme, Grahame, Grame, Graam, Grahaym, Grahem, Graheme, Grahm, Grahme, Grahym, Graiham, Graym, Greeme, Greme, Grehdme, Grem, Greym, Greyme, and Greumach. The last name Graham ranks 108th in popularity in the United Status as of the 2000 Census. The name ranks particularly high in the following fifteen states: Florida, North Carolina, Pennsylvania, South Carolina, Michigan, Washington, Missouri, Mississippi, Oklahoma, Oregon, Kansas, Iowa, Montana, Alaska, and Wyoming. The surname Graham frequency/commonness ranks as follows in the British Isles: England (95th), Scotland (41st), Wales (163rd), Ireland (239th) and Northern Ireland (19th). In England, it ranks highest in Cumberland. In Scotland, the surname Graham ranks highest in Dumfriesshire. In Wales, it ranks highest in Merionethshire. In Ireland, it ranks highest in county Monaghan. In Northern Ireland, it ranks highest in counties Fermanagh and Antrim. The name is also present throughout the remainder English speaking world: Canada (63rd), New Zealand (74th), Australia (66th), and South Africa (526th). We have identified 18 different branches of the Graham family tree who were of the landed gentry or aristocratic or noble class. Each is discussed in vary level of detail below. 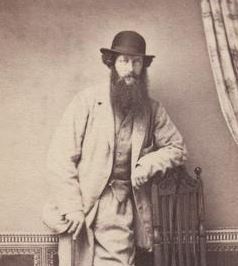 Robert de Graeme, Esquire of Garvock, county Perth, was a Justice of the Peace who was born in 1841 and succeeded his father in 1859. The Graeme ancestry traces back to William Graeme, the son of Sir William Graham of Kincardine and Princess Mary Stuart, who was a solider in the army of King James I. He obtained a grant of the lands and barony of Garvock, which was confirmed in 1473. He had a son named Matthew Le Graeme who succeeded him in 1502, who in turn had a son named Archibald. Arichbald passed away in 1513 and his son and successor was John Graeme of Garvock, who married Mirabell, daughter of John Whyte of Lumbany, and later Katharine, daughter of Walter Arnot, and had had two sons: James and John, the latter being the progenitor of the Graham’sof Balgoune, as well as Lord Lyndedoch, the hero of Barossa. He was succeeded by the former, Hames, who married Janet Bonar, daughter of Bonar of Kelty, with whom he had several issue. The Graeme Coat of Arms (mistakenly called the Graeme Family Crest) is blazoned in heraldry as follows: Or, three piles gules issuing from a chief sable charged with as many escallops of the first within a double tressure flory counterflory of the first, to mark the royal descent from King Robert III of Scotland. Crest: A lion rampant gules. Motto: Noli me tangere. Mrs. Henrietta Graeme Oliphany, of Orchill, co. Perth, in 1840, married James Blair Oliphant, Esq. of Gask, and died without issue in 1847. The lineage traces back to William, 2nd Earl of Montrose, who with his wife Lady Janet Keith, had four sons: Robert (Lord Grahame), Alexander, Mungo, and William (ancestor of the Grahames of Killearn). The ancestor of this branch of the family tree was Mungo Grahame, 2nd Earl of Montrose, who received from his father by a charter dated 1544, the lands of Rathernes, and by a later charter, the lands of Orchill and Garvock. He married Marjory, daughter of Sir William Edmonstone of Duntreath, and had a son with her named John. 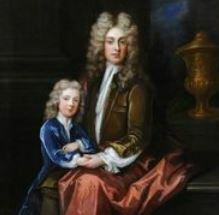 Sir John had a son, also named John, who succeeded his father and married Jean, daughter of Sir James Chisholm of Crumlix, with whom he had a son named James. This James Grahame of Orchill succeeded his father in 1673. He had two issue: Christian (married Patrick Murrary of Dollary) and William. William succeeded him and he had an only a daughter and heiress named Beatrix. 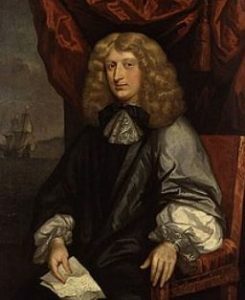 Beatrix married David Graeme, son of Graeme of Pitcairn. A son of this marriage was James Graeme, who succeeded his mother, but died without a surviving child. He was succeeded by William Graeme, son of David, and he married Amelia, daughter of Patrick Graeme of Inchbrakie,with whom he had four children: Patrick, Lawrence, Margaret Anne, and Henriette Maria. He was succeeded by the elder daughter, Margaret Anne Graeme of Orchill, who married James Gillespie Grahame, with whom she had two daughters: Jane Amelia and Henrietta (mentioned at the beginning of this paragraph). The Graeme Coat of Arms (mistakenly called the Graeme Family Crest) is blazoned in heraldry as follows: Quarterly: 1st and 4th, or, a boar’s head gules on a chief sable three escallops of the first, 2nd, and 3rd argent three roses gules. Crest: An eagle Volant proper. Motto: Ardenter proscquor alis. Patrick James Frederick Graeme, Esq. of Inchbrakie and Aberuthven, county Perth, was born in 1849 and was a Lieutenant of the 79th Highlanders who succeeded his father in 1854. 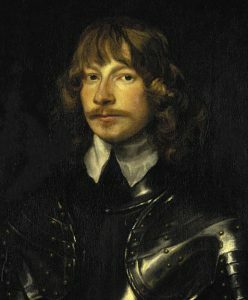 The Graeme genealogy traces back to an ancient family that derives in the male line from William, 1st Earl of Montrose. William, with his third wife Christian, daughter of Thomas Wavan of Stevenson, had two sons: Patrick and Andrew. His son Patrick was of Inchbraike, and he married Margaret Stewart, daughter of Lord Fleming, and by her, had issue. His eldest son was George Graeme who married Margaret, daughter of Andrew Rollo, and by her had issue: Patrick (his successor) and George (Bishop of Orkney 1615). The Graeme Coat of Arms (mistakenly called the Graeme Family Crest) is blazoned in heraldry as follows: Or, a dyke fessways broken down in some places and base a rose gules on a chief sable three escallops of the first. Crest: A mailed hand holding a garland proper. Motto: A deo Victoria. The lineage of this branch of the Graham family tree begins with a mention of Sir William Graham, Lord of Kincardine, ancestor of the Dukes of Montrose, married his second wife in 1406, who was the Lady Mary Stuart, daughter of King Robert III of Scotland. 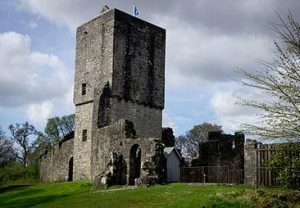 He had issue Sir Robert, who was of Fintry, Patrick, who was Archbishop of St. Andrews; William, ancestor of the Grahams of Garvock; Harry, and Walter, from whom descend the Grahams of Knockdoilian, Carrick, and of Wallacetown, Dumbarton. 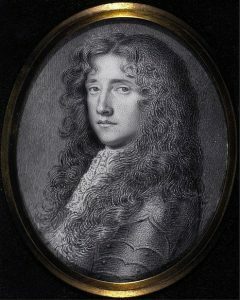 The eldest son, Sir Robert Graham of Fintry, married Janet, daughter and heiress of Sir Richard Lovell of Ballumbie, and had the following issue with her: Robert and John (of Balargus, married Matilda, daughter of Sir James Scrimgeour, had several issue, including Walter, the ancestor of the Grahams of Duntrune). He was succeeded by the elder son Robert, who married the Lady Elizabeth Douglas, daughter of John, Earl of Angus, and had a son with her named Sir David Graham, who was the 3rd Laird of Fintry. David married a daughter of William, 1st Earl of Montrose, and left a son and successor with her named William Graham, 4th Laird of Fintry. William married Catherine, daughter of John Beaton of Balfour, and he had a son named David. This Sir David was the 5th of Laird of Fintry, who was knighted by James VI. David married Margaret, daughter of James, Lord Oglivy, an ancestor of the Earls of Airlie, and he had three sons and one daughter. His eldest son and successor was David Graham, 6th of Fintry, who married Barbara, daughter of Sir James Scott of Balwearie, and had two sons: David (his heir) and James (owned lands in Monorgan and Craigo, who was beheaded at Edinburgh in 1592 for his role in a Popish plot with the Earls of Huntly and Errol). He was succeeded by his son David, the 7th Laird of Fintry, a royalist who married Mary, daughter of Sir James Halliburton of Pictur, and had two sons and a daughter. He was succeeded by his son John, the 8th of Fintry, who married Lady Margaret Scrymgeour, daughter of James, the Early of Dundee, and had a son with her, who died young. He was succeeded by his brother, James Graham, the 9th Laird of Fintry. James was a Lieutenant Colonel in the Angus regiment and he married Ann, daughter of Colonel Hay of Killour, and he was succeeded by his eldest son David. The Graham Coat of Arms (erroneously called the Graham Family Crest) is blazoned in heraldry as follows: Or, three piles sable, within a double tressure flory counterflory gules on a chief of the second, three escallops of the first. Crest: A phoenix in flamer proper. Motto: Bon Fin. John Murray-Graham was an Esquire of Murrayshall who was born in 1809. He was a Justice of the Peace and Deputy Lieutenant who, in 1853, married Robina, daughter of Thomas Hamilton, and succeeded in 1859 upon the decease of Robert Graham of Redgorten. 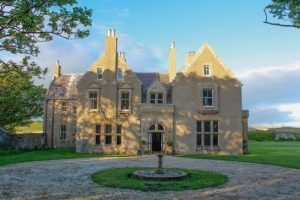 The Graham genealogy traces back to John Graham, the second son of John of Garwock, who purchased the estate of Balgowan in 1584 from James, Lord Innermeith. This John married Marjory, eldest daughter of Andrew Rollo of Duncrub and had several issue. He also later married Helen, daughter of Thomas Blair of Balthayock and had four sons and five daughters with her. He was succeeded by his eldest son, John Graeme or Graham, an Esquire of Balgowan. His son John died and was succeeded by his half brother, Thomas Graeme. In 1671, Thomas married Anne, daughter of Sir James Drummond of Machany, and later in 1716, Christian, daughter of David, 2nd Lord Newark. 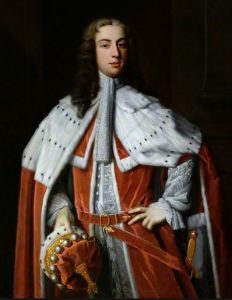 With the former wife, he had nine sons and seven daughters:, including: 1) John (his heir, of Balgowan, in 1702 married Elizabeth Carnegie), 2) Robert (married Elizabeth Thriepland), Patrick, Thomas (died young), Patrick (married Janet, daughter and heiress of Andrew Murray), and Patrick. He died in 1735 and his youngest son was Patrick Graeme, who married Janet, the daughter and heiress of Andrew Murray of Murrayshall. Patrick had a son and successor named John Graeme Murray, who was known later at John Murray, and he married Janet, the daughter of Thomas Anderson of Newburgh, county Fife, Scotland. He died in 1818 and was succeeded by his son Andrew Murray, Esq., Justice of the Peace, and Sheriff in Aberdeen who was born in 1782. In 1808, he married Janet, daughter of Oliver Thomson of Leckiebank, and had seven issue with her: John (mentioned at the beginning of this paragraph), Andrew, Thomas, Robert, Anthony Maxtone (Major-General Bombay Artillery), Grace, Janet, and Lucretia. The Graham Coat of Arms (erroneously called the Graham Family Crest) is blazoned in heraldry as follows: Quarterly: 1st and 4th, or, three piles sable within the royal tressure gules, on a chief of the second a crescent betwixt two escallops of the first; 2nd and 3rd, azure, a cross pattee between three stars argent, within the royal tressure or. Crests: For Graham: A dove proper with motto Candide et secure, and for Murray: A buck’s head couped proper, with motto Macte virtute. James Maxtone-Graham was an Esquire of Cultoquhey and Redgorton, county Perth, who was Justice of the Peace and Deputy Lieutenant, born in 1819. In 1851, he married Caroline Mary Anne, daughter of George Edward Russell, and had eight children with her as follows: Anthony George (1854), Robert (1856), James (1863), Alexina Mary, Margaret, Caroline Leonora, Elizabeth Christian and Marjory Georgina Ramsay. The Graham lineage or genealogy traces back to Robert de Maxton who had a charter of the lands of Cultoquhey in 1410 and had a son named Robert. Robert was killed at the Battle of Flodden and had a son named Alexander Maxtone. Alexander married Catherine, daughter of MacGregor of Glenstrae, and had a son and heir named Robert. Robert married a daughter of Murray of Dollerie, and was succeeded by his son Patrick. Patrick married Nicholas, daughter of Graeme of Incbrackie, and had a son named William. This William Maxtone was an Esquire of Cultoquhey who married Agnes, daughter of Oliphant of Bachilton, and had a son with her named John Maxtone. John married Isabel Graeme and had a son with her named John. This John married Jeane, daughter of Mungo Murray, and he had a son and heir named Mungo Maxtone. Mungo married Christian, daughter of Thomas Graeme, and he was succeeded by his only son and heir, James. James Maxtone was an Esquire of Cultoquhey who married Marjory, daughter of Patrick Graeme, in 17645, having a son with her named Anthony. Anthony Maxtone married Alexina, daughter of John Graeme, in 1816, and had the following issue with her: James, John Anthony, Mary Scott, and Alexina Helen. John Graham, second son of John Graham or Graeme, procured the estate of Balgowan in county Perth in 1584. He married Marjory, daughter of Andrew Rollo, and had a son with her named John. In 1605, John married Isabel, daughter of Ninian Bonair of Keltie, and he had a son with her named John. He later married Helen, daughter of Thomas Blair, and had nine issue with her. His John died and was succeeded by his brother, Thomas. Thomas married Anne, daughter of Sir James Drummond of Machany and later Christian, daughter of David, 2nd Lord Newark, and had several issue with her, including John (his son and heir), David, Robert (married Elizabeth, daughter of Sir D. Threipland of Fingask), and Patrick. 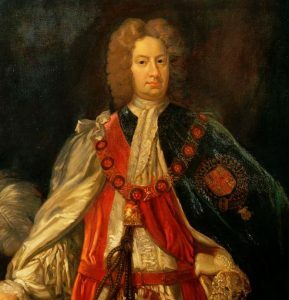 He died in 1735 and was succeeded by his son, John Graeme or Graham, who in 1702, married Elizabeth, daughter of James Carnegie of Balnamoon, and had nine children with her. The eldest son was Thomas Graham. In 1749, this Thomas married Lady Christian Hope, daughter of Charles, Earl of Hopetoun, and had a son with her, also named Thomas. 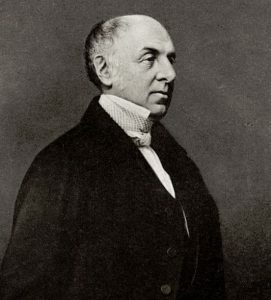 His son Thomas Graham, Esq. was a Member of Parliament and commander in the Peninsular War, who achieved a famous victory at Barossa in 1811. He was created Baron Lynedoch. In 1774, he married Mary Cathcart, but had no issue with her. He died in 1843 and was succeeded by his second cousin, Robert Graham of Balgowan and Redgorton, a Justice of the Peace and Deputy Lieutenant. Robert died in 1859 and was succeeded by his nephew James, mentioned at the beginning of this paragraph. The Graham Coat of Arms is blazoned as follows: Quarterly: 1st and 4th, or, a chevron gules between three cross crosslets fitchee azure, for Maxtone, 2nd and 3rd, or, three piles sable, within a double tressure flory counterflory gules a chief of the second a rose between two escallops of the first. Crests: 1st, A bee proper, for Maxtone, 2nd, A dove proper, for Graham. William Graham was Esquire of Mossknow, Justice of the Peace, Deputy Lieutenant, and a Colonel in the army who was in the 12th, 16th, and 17th, Lancers, born in 1797. In 1829, he married Anne, daughter of Hugh Mair of Redhall and Wyseby, and had the following children with her: William Mair, John Dordon (Lieutenant Colonel 1st Royal Dragoons, married Susanna Touchet Hay), Charles Steart (married Sarah White), Rosina Anne, Grace Harriett, and Clementina Mary. This family has been in direct descent for two centuries in the possession of the property and seat of Mossknown. William Graham, Esq. of Mossknow, son and heir of John, in 1794, married Grace Margaret, daughter of Lieutenant-Colonel John Gordon and Clementina Lockhart, and had issue with her: Clementina, Johanna Grace (married Erskine Douglas Sandford), and William (mentioned at the beginning of this paragraph). William Graham was Esquire of Airth, county Stirling, who was Justice of the Peace and Deputy Lieutenant, born in 1808. In 1839, he married Elizabeth, daughter of Sir Alexander Anstruther, Knight of Thirdpart, county Fife, and had two children with her: Thomas Philip (Lieutenant Colonel Scots Guards, married Jemima Barbara Rattray) and Jane Caroline. The Graham genealogy of this branch of the family tree traces back to James Graham of Poltoon, who married Agnes, daughter of John Denholme of Westshields, and had three issue with her: John, Elizabeth (married Colonel John Forbes of Culloden), and James. His son James Graham of Airth was born in 1676 and was a prominent Lawyer who went to London and became Judge of the Court of Admirality. He married his cousin, Marion Hamilton, daughter of Lord Pencaitland, and had three issue with her: James, Agnes (married Arthur Forbes of Pittencrieff), and Marion (married David Bruce of Kinnaird). 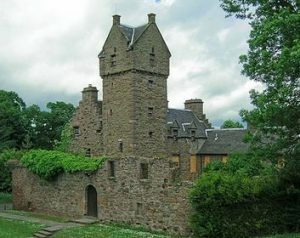 He later married Lady Mary Livingstone, daughter of James, 3rd Earl of Callander, and had five issue with her as follows: James (Colonel in the army of Prince Charles Edward), William, Rachel, Elizabeth (married W. Macdowall of Castle Semple), and Anne (married Thomas Dundas of Fingask). He died in 1753 and was succeeded by his third son, William Graham of Airth. In 1760, William married Anne, daughter of Sir Henry Stirling, Baronet of Ardock, and had seven sons and seven daughters with her. The eldest son was James Graham of Airth, who died in 1805 and was succeeded by his brother, Thomas Graham-Stirling, who in 1807, married Caroline may, daughter of Colone Home, who inherited the property of Strowan from his maternal uncle, Sir Thomas Stirling, and assumed his surname, and died in 1836, leaving three issue: William (mentioned above), Thomas Jane Graham-Stirling (of Strowan), and Carlus James Home Graham. The Graham Coat of Arms (erroneously called the Graham Family Crest) has the following heraldic blazon: Quarterly: 1st and 4th, or, on a chief sable, three escallops argent; 2nd and 3rd, argent, a fess embattled between three roses gules, for Montrose. Crest: A naked hand holding a dagger erect proper. 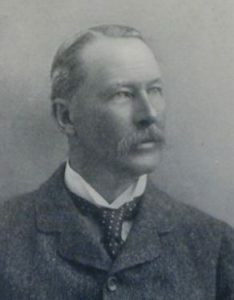 William Cunninghame Bontine Graham was Esquire of Gartmore in Perth, Justice of the Peace, Deputy Lieutenant of count Stirling, and Vice Lieutenant who was born in 1825. He was also an officer in the 2nd Dragoons and Major of the Renfrewshire Militia. In 1851, he married Anne Elizabeth, daughter of Admiral Charles Elphinstone Fleming of Cumberland House, and had issue with her, including a son named Robert (born 1852). This branch of the Graham family tree traces back to Sir John Graham, of Kilbride, the son of Malise, Earl of Menteith, and grandson of Patrick, Earl of Strahern. He was known as “Sir John with the bright sword” and from him descended William Graham of Gartmore. William had a daughter (married William, 1st Earl of Stirling) and two sons: Sir William, and Walter of Gallingad (had sons Robert and William). His son Sir William Grahame was the elder son and heir and was created a Baronet in 1565. In 16662 He married Elizabeth, daughter of John Lord Kinpoint. He was succeeded by his son Sir John Graham. John died in 1708 and Gartmore delvolved to his cousin, Robert Graham, Esq. M.D. of Gallingad, who then became of Garmore. He had two sons: Nicol (his heir) and Thomas of Bucchlwa (Physician to King George II of England). He was succeeded by his son Nicol Graham of Gartmore and Gallingad, who in 1732, married Lady Margaret Cunninghame, daughter of William, 13th Earl of Glencairn, and had issue with her: Robert, John (of Kipper, Colonel in army), and Elizabeth (married Sir Robert Dalywell). He was succeeded by his son Robert who succeeded the estate of Finlaystone and assumed the arms and surname of Cunninghame in addition to those of Graham. Robert married Anne, daughter of Patrick Taylor of Jamaica, and had three issue with her: William (his heir), Nicol (of Jarbruck, Monihive and sometimes Bontine of Ardoch, Colonel and Marshal-de-Camp in the Austria service, Knight of Maria Theresa), and Martha (married Peter Speirs of Culcruich). This family was seated at Gartmore in county Perth and Finlaystone, county Renfrew. Thomas James Graham-Stirling was Esquire of Strowan, Justice of the Peace, Deputy Lieutenant, and Commissioner of Supply, born in 1811. 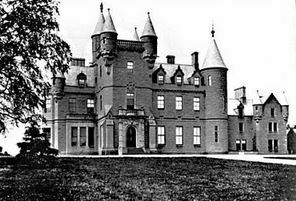 In 1858, he married his second wife, Jane, youngest daughter of William Hugh Hunter of Auchterarder, and had seven issue with her: Thomas James (1858), William Evan (1863), Carolus Home, Ernest Henry, Alice Elizabeth, Mary Maude, Florence Kate. He was the son of Thomas Graham Stirling of Airth. He assumed the additional surname and arms of Stirling as the heir to his maternal grand-uncle, General Sir Thomas Stirlin, Baronet of Ardoch. This family bore the same arms as Graham of Airth, quartering Stirling and were seated at Strowan, Crieff, county Perth in Scotland. 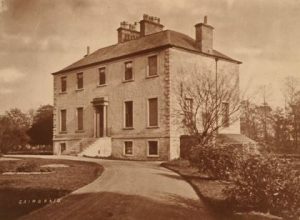 William Graham was Esquirew of Langley House in county Lancaster, England and of Urrard in county Perth, Scotland born in 1818. He was Justice of the Peace and Deputy Lieutenant for county Lanark. 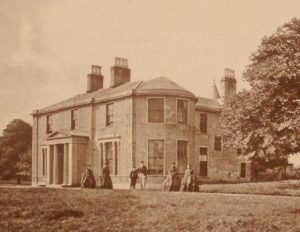 In 1846, he married Jane Catherine, youngest daughter of John Lowdnes of Arthurlie and had eight issue with her: James Rutherford (1849), William (1858), Alice Anna, Florence Elizabeth, Amy Margaret, Frances Jane, Lilias Catherine, and Agnes. The Graham ancestry traces back to Robert Graham of Tamrawer, son of William Graham and a daughter of John White of Coldown Hill. Robert married the only daughter of John Luke of Claythorn, county Lanark, and had three sons with her: John (went to America), George, and William, as well as four daughters. He sold his estate to his half-brother, William Graham, a prominent merchant in London, England, who died and left the estate to his only surviving brother, James. This James Graham of Tamrawer married Agnes, daughter of Thomas Campbell, and had the following issue with her: Agnes (married W. Wardrop), William, and James (married Janet Maxwell). He died in 1795 and was succeeded by his son, William Graham of Burntshiels, representative of Tamrawer, who married Margaret, daughter of John Pattison, and had five sons and five daughters with her including: James (married Christina Pattison), William, Alexander (married Jane Lancaster), John (married Elizabeth Hatt-Noble), Robert (married Susan Schuyler), Agnes (married Stewart Smith of Glasgow), Margaret, Elizabeth, and Jessie (married Water Crum of Thornliebank). 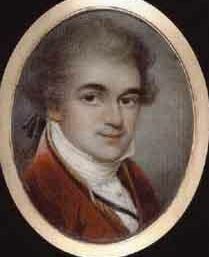 He died in 1836 and was succeeded by his son William. William Graham was an Esquire of Burntshield and was Justice of the Peace. He married Katherine, daughter of John Swanston, and had five sons and two daughters with her, including: William, John, James (married Emily Sophia Kingscote), Robert, Alexander, and Margaret (married Hugh Lane of Knockewart. 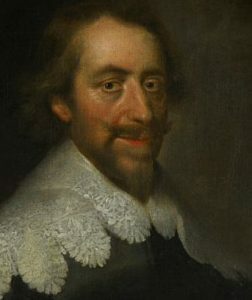 He later married Anna Matilda, daughter of John Lowndes of Arthurlie, and had one son and five daughters with her: Henry John Lowndes (married Edith Elizabeth Hardy), Anna Matilda, Frances (married Thomas Dallas Yorke of Walmsgate), Elizabeth (married Charles Seymour Grenfell), Christina, and Agnes Steuart. He died in 1854 and was succeeded by his eldest son, William (mentioned at the beginning of this paragraph). The Graham Coat of Arms (often mistakenly or falsely called the Graham Family Crest) is blazoned in heraldry as follows: Or, on a chief ermine three escallops of the field. Crest: A falcon proper beaked and armed and killing a stork argent. 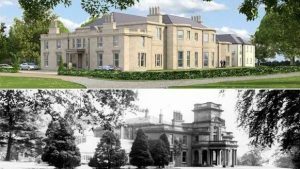 This family was seated at Langley House in Prestwich and in Urrard House in Pitlochrie. The lineage of this branch of the Graham family tree begins with John Altham Graham-Clarke, an Esquire who was the son of John Graham of Sutton, who assumed the additional surname of Clarke by royal license from his wife, Arabella, daughter and co-heiress of Roger Altham of Fenton. In 1812, he married Mary Elizabeth, daughter of Leonard Parkington of Kennesley Castle and had issue with her, including John and Reverend Edmund (Rector of Kinnerseley, married Isabella Horatia Butler). His son John was Esquire of Manor House in Forcester, Justice of the Peace, and High Sheriff who was born in 1813. In 1840, he married Emma Jane, daughter of Reverend John Eagles, and had a son and heir with her named John Leonard. This John Leonard was born in 1841 and was a Justice of the Peace and Barrister-at-Law who, in 1866, married Flora Eliza, daughter of Henry Brown, and had the following issue with her: Lionel Altham, John Eagles Henry, Leonard Warre, and Gerald. 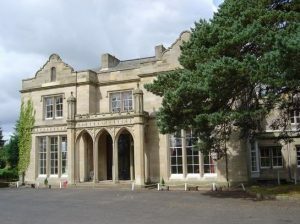 This branch of the family tree was seated at Manhour House in Forcester, Stonehouse in Gloucester, and Glanrhos, Rharzden in Brecon, Wales. Francis John Graham was an Esquire of Drumgoon in county Fermanagh, Ireland, Justice of the Peace for counties Fermanagh and Galway, and High Sheriff in county Tyrone, who was born in 1815. The lineage of this family traces back to the border race of Graham and the brothers of this family that settled in Ireland in counties Fermanagh and Monaghan. 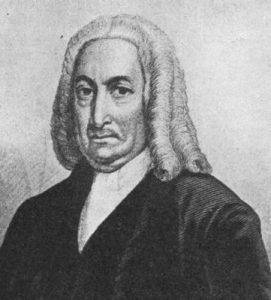 Robert Graham, Esq. married Elizabeth, daughter of Robert Armstrong of Giltagh, and had a son with her named Francis. This Francis married Esther, daughter of John Boyd of Tyrone, and he died in 1826, leaving children named Robert, William (Colonel in the army, married Maria French), and Eliza (married Robert Brownrigg of Norrismount in county Wexford. The eldest son, Robert Graham, was an Esquire of Drumgoon and Ballinakill in Galway who was born in 1786. He first married Elizabeth, daughter of John Davis of Summerhill, and Jane, daughter and heiress of John Speer of Desert Creight. He had a son named Francis John (mentioned above). The Graham Coat of Arms (sometimes called the Graham Family Crest in error), is blazoned in the medieval European art of heraldry as follows: Or, a rose rules, barbed and seeded proper, on a chief sable, three escallops of the first. Crest: An arm embowed vested azure cuffed argent the hand proper grasping a staff raguly gules. Motto: Rario mihi sufficit. They were seated at Drumgoon, near Maguiresbridge and at Ballinakill in Galway, Ireland. Thomas Henry Graham was an Esquire of Edmond Castle, Cumerland, a Justice of the Peace, Deputy Lieutenant, and High Sheriff who was born in 1793. In 1829, he married Mary, daughter of Sir David Carnegie, Baronet of Southesk. The lineage of this branch of the Graham family tree traces back to Thomas Graham, Esq. of Edmond Castle, who descended from the Grahams of Esk. In 1749, Thomas married Margaret, daughter of Thomas Coulthard, Esq. of Scotby, and had the following six children with her: Thomas (heir), James (of Kirkstall, created a Baronet in 1808), William, Mary (married Richard Graham of Stonehouse), Elizabeth, and Margaret. The eldest son Thomas was born in 1751 and in 1791, he married Elizabeth Susannah, daughter of John Davenport of Clapahm, Surrey, and fathered five children with her: Thomas Henry (mentioned at the beginning of this paragraph), John (of The Elms, Easbourne, Sussex, Justice of the Peace and Deputy Lieutenant, married Caroline Elinor Curteis, had issue), Elizabeth Maria, Emily (married Reverend Thomas Collins), and Anne Margaret (Edward Polhill). The Graham Family Coat of Arms is blazoned in heraldry as follows: Per pale indented ermine and sable, on a chief per pale of the last and or, three escallops counterchanged. Crest: Two armed arms issuing out of the battlements of a tower proper, holding an escallop sable. They were seated at Edmond Castle, Carlisle. Sir Montrose Stuart Graham was the 12th Baronet of Esk, Cumberland, England who was born in 1904 and succeeded his father in 1929. In 1932, he married Anne Elizabeth, daughter of John Gerken, of St. Albans Long Island, USA, and had two issue: Lynne Elizabeth and Dana Stuart. The lineage of this family traces back to John Graham of Kilbridge, the son of Malise Graham, the Earl of Menteith, identified with Sir John “with the bright sword”, and claimed as one of the ancestor of this and other families of Graham belonging to the “debateable lands”. One historian asserts the first Graham to settle in England was William Grahme, known as “Long Will”, who was banished from Scotland around the year 1516. This William had a son named Richard in Natherby, who in turn had a grandson named Walter Graham of Netherby, chief of the family in 1596. Fergus Graham, of Plomp, married Sibill, daughter of William Bell of God’s Bridge, Scotland, having four sons with her. The second son was Sir Richard Graham, 1st Baronet of Esk, Cumberland, a Member of Parliament of Carlisle and a Gentleman of the Horse to George Villiers, Duke of Buckingham, and afterwards to Charles I, was created a Baronet in 1629. In 1624, he purchased Norton Conyers and also Netherby in Cumberland. He fought bravely at Edge Hill in 1642, where he was wounded. He married Catherine, daughter and co-heir of Thomas Musgrave of Cumcatch, and died in 1653, having five daughters and two sons with her. One of these sons was Sir George Graham, the 2nd Baronet. The Graham Coat of Arms (erroneously called the Graham Family Crest) is blazoned in heraldry as follows: Quarterly: 1st and 4th, or, on a chief sable, three escallops of the field, for Graham; 2nd and 3rd, or, a fesse chequy argent and azure, in chief, a chevron gules, for Stuart. Crest: Two wings addorsed or. Motto: Reason contents me. They lived at Long Island, New York, USA. Sir John Reginald Noble Graham, 3rd Baronet, of Larbert was born in 1892 and succeeded his father in 1936. He was a Lieutenant Colonel Argyll and Sutherland Highlanders and served in World War I with the Machine Gun Corps and in World War II. In 1920, he married Rachel Septima, daughter of Colonel Sir Alexander Sprot, and had issue with her: John Alexander Noble (1926) and Lesley (1921, married Kohn Wykcham Strang Steel). This is a cadet branch of the family of Graham, of Tamrawer, descended from the Grahams of Auchincloich, of which Tamrawer was part, near Kilsyth. Robert Graham of Auchincloich and William Graham were mentioned in the Presbytery Record of Glasgow in around 1602. In 1614, Robert sold the lands of Wester Auchincloich to his kinsman William. William married Margaret Strachane and had a son with her named John Graham of Tamrawer. In 1624, John married Margaret Grahame and died in 1645. His son was also named John and was born in 1643, and in 1663, he married Barbara Graham, and had a son with her named William. This William Graham of Tamrawer first married Lillias Russell of Gorbethill and had a son with her named John (or Worcester, a merchant in Birmingham). He secondly married Margaret, daughter of John Whyte of Culdoun Hill, and had a daughter with her and a son named Robert (married Jean Luke and had three children with her). William’s third wife was Agnes, daughter of William Laing of Lees, and he had two issue with her: William (of Tamrawer) and James. His son James Graham of Tamrawer was a surgeon in Paisley who purchased Burntshields in Renfrew James married Agnes, daughter of Thomas Campbell, and had three issue with her: William, James (a merchant of Glasgow who matriculated his arms at Lyon Office in 1817, married Janet Maxwell), and Elizabeth. 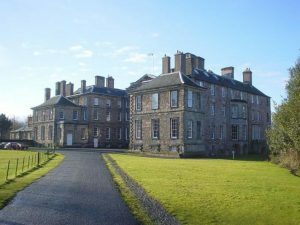 Going several generations further down the family tree leads one to Sir John Hatt Noble Graham, the son of John Graham of Lancefield, the 1st Baronet, who was a Justice of the Peace for counties Stirling and Lanark and for Glasgow. Sir John was a Captain in the 1st Lanarkshire Volunteer Rifles and was born in 1827. In 1862, he married Jane Browne, daughter of James Graham Adam of Denovan, and had seven children with her: John Frederick Noble (2nd Baronet), Cecil William Noble, Elinor Elizabeth (married Sir Edwin Bolton), Lillian Margaret (married Lieutenant Colonel George Staunton of Monkton House), Winifred Mary, Constance Agnes (married Sir Edward Hugh Bray) and Frances Jane (married Colonel E.C. Apostolides). The Graham Coat of Arms is blazoned as follows: Or, on a chief invected ermine, three escallops of the field. Crest: A falcon proper, beaked and armed or, and killing a stork armed gules. Sir Fergus Frederick Graham, 5th Baronet, of Netherby, Cumberland, was born in 1893 and succeeded his father in 1932. He was a Justice of the Peace, Deputy Lieutenant, and Lieutenant Colonel who served in World War I and was also a Member of Parliament for North Cumberland. In 1918, he married Mary Spencer Revell, daughter of Major-General Raymond Northland Revell Read, and had issue with her, including a son named Charles Spencer Richard, who was born in 1919, served in World War II, and married Susan, daughter of Major Robert Lambton Surtees of Redworth Cottage, and had a son with her named James Fergus Surees (born 1946) and Cynthia Mary (born 1923). The lineage of this branch of the Graham family tree traces back to the Reverend Robert Graham, D.D., of Netherby, Cumberland, who was Rector of Arthuret, son of William Graham. In 1752, he married Frances, daughter of Sir Reginald Graham, 4th Baronet of Norton Conyers, and had issue with her. One such issue was Sir James Graham, 1st Baronet of Netherby, who was created a Baronet in 1783. James was born in 1761, and in 1782, he married Lady Catherine Stewart, daughter of John, 7th Earl of Galloway, and had issue with her: Sir James Robert George (2nd Baronet), Rear Admiral Charles, George (Major in the 1st Indian Regiment, married Maria Hasell), Elizabeth Anne (married Reverend William Waddilove), Caroline (married Sir Wilifred Lawson, 1st Baronet of Brayton), Harriett Anne (married Captain Frederick Madan), and Charlotte (married Sir George Musgrave, 10th Baronet of Edenhall). 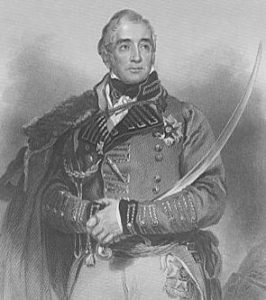 He died in 1823 and was succeeded by his son, The Right Honorable Sir James Robert George Graham, 2nd Baronet, who was born in 1792. In 1819, James married Fanny Callander, daughter of Colonel and Lady Elizabeth Callnder of Craigforth and Ardkinglass, and had the following issue with her: Frederick Urlic (3rd Baronet), Reverend Malise Reginald (Rector of Arthuret, married daughter of Sir George Musgrave, 10th Baronet of Edenahall), Mabel Violet (married the 1st Earl of Deversham), and Helen (married Lieutenant General Charles Baring of the Coldstream Guards). He died in 1861 and was succeeded by his eldest son: Sir Frederick Ulric Graham, the 3rd Baronet, who was born in 1820 and was an Attache to the Embaddy at Vienna in 1842, as well as High Sheriff of Cumberland. In 1852, Frederick married Lady Jane Hermione St. Maur, eldest daughter of the 12th Duke of Somerset, and had eight issue with her: Sir Richard James (4th Baronet), Hugh (married Jessie Low), James Reginald (of Scaurbank, married Florence Rose, daughter of J. Carter Wood), Margaret Frances (married Alexander Aeneas Mackintosh and secondly, the 3rd Earl of Verulam), Violet Hermione (married the 5th Duke of Montose), Helen, Sibyl Marcia (married the 2nd Baron Houghton and Marquess of Crewe), and Hilda Georgiana (in 1895, married the 1st Baron of Wittenham). The Graham Coat of Arms (mistakenly called the Graham Family Crest) has the following heraldic blazon: Quarterly, 1st and 4th or, on a chief sable, three escallops of the field (Graham); 2nd and 3rd or, a fesse chequy argent and azure, in a chief a chevronel gules (Stuart), in the centre of the quarters a crescent of the last, and all within a bordure engrailed of the third. Crest: Two wings addorsed or. Motto: Reason contents me. Sir Richard Bellingham Graham, 10th Baronet, of Norton Conyers of county York, England and was born in 1912 and succeeded his father in 1940. He was in the Royal Air Force and served in World War II. In 1939, he married Beatrice Mary, daughter of Lieutenant Colonel Michael Seymour Spencer-Smith, and had two sons with her: James Bellingham (1940) and William Reginald (1942). The Graham genealogy traces back to Sir Richard Graham, 1st Baronet of Norton Conyers, son of Sir Richard Graham, 1st Baronet of Esk. This Richard was created a Baronet in 1662 for the services he provided to the Crown during the Civil War. He married Elizabeth, daughter of Colonel Sir Chichester Fortescue, Knight of Dromisken, Ireland, and had numerous issue with her, including: Sir Reginald (2nd Baronet), Richard (married daughter of William Chaloner of Guisborough), Elizabeth (married Sir Roger Fenwick), and Jane (married Reverend James Musgrave). He was succeeded by his eldest surviving son, Sir Reginald Graham, sometimes Page of Honour to King James II. He first married France, daughter and heir of Henry Bellingham, with whom he had issue including Sir Bellingham (3rd Baronet) and Sir Reginald (4th Baronet). He later married Anna, daughter of Sir David Foulis. The coat of arms for this family is blazoned as follows: Quarterly: 1st and 4th, or, on a chief sable, three escallops of the field, for Graham: 2nd and 3rd, or, a fess chequy argent and azure, in chief a chevronel gules, for Stuart; in the centre of the quarters a crescent of the last and all within a bordure engrailed of the third. Crest: Tow wings adored or. 1) Benjamin Graham of Hartford, Connecticut, married Abigail Humphrey, likely the daughter of John of Simsbury. 2) James Graham, of Boston, came probably as a friend of Andro’s, and was his attorney-general, but on the overthrow of that administration, was imprisoned, without bail. 3) Samuel Grame, of Boston, 1641, a pewterer, joined the church in 1642, had a daughter named Mary. Early settlers in colonial America bearing this surname include Anthony Graham (Virginia 1651), Donnell Graham (Virginia 1655), Elizabeth Graham (Maryland 1676), Jane Graham (Maryland 1677), Francis Graham (New England 1719), Joseph Graham (Georgia 1733), Catharine Graham (New York 1738), Elizabeth Graham (New York 1738), and Angus Graham (New York 1740). In Canada, one of the first bearers of this last name was Augustine Graham who came to Nova Scotia in 1749. In Australia, two of the earliest bearers of this last name were Thomas and William Graham, who came around 1830 to New South Wales and Tasmania (then called Van Diemen’s Land), respectively. In New Zealand, one of the earliest bearers was Thomas Graham who came to Bay of Islands in 1836. 1) [Or] on a chief [sa] 3 escallops of the field. Crest: 2 wings addorsed [or]. Motto: Nec habe nec careo nec cure. Bookplate Henry Hale Graham, lawyer, Chester, Pa. J. Smither, sc. Engr. arg on a chief or, etc. 2) Quart 1 and 4: Or on a chief sa 3 escallops of the field; 2 and 3: Arg 3 roses 2 and 1 gu. Crest: a falcon [armed and beaked or] standing on a heron. Motto: Ne oubliez. Bookplate James Lorimer Graham, 1835-76, of N. Y., Consul to Italy. Thomas Haskins Graham has sa a chev arg bet 3 escallops. 1) James Graham of Morrisania, New York, 1685, from Scotland. Quarterly: 1st and 4th; Or, on a chief sable, three escallops of the first, for Graham, 2nd and 3rd; Argent, three roses gules, barbed and seeded proper for Montrose. Crest: A falcon proper beaked and armed or, killing a heron or, armed gules. Supporters: Two storks argent, beaked and membered gules. 2) John Graham of Exeter, New Hampshire, 1720. Quarterly: 1st and 4th; Or, on a chief sable, three escallops of the field for Graham, 2nd and 3rd; Argent, three roses gules, barbed and seeded proper, for Montrose. Crest: An eagle, wings hovering or, perched upon a heron lying upon its back proper, beaked and membered gules. 3) Dr. Thomas Graeme of Philadelphia, Pennsylvania, 1719, from Balgowan, Perthshire, Scotland. Or, three piles sable within a double tressure flory counterflory gules, on a chief of the second, a rose between two escallops of the first. Crest: A dove proper. Motto: Candide et secure. We have 42 coats of arms for the Graham surname depicted here. These 42 blazons are from Bernard Burke’s book The General Armory of England, Ireland, and Scotland, which was published in 1848. The bottom of this page contains the blazons, and in many instances contains some historical, geographical, and genealogical about where coat of arms was found and who bore it. There are hundreds of notable people with the Graham surname. This page will mention a handful. 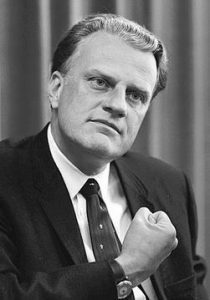 Famous people with this last name include: 1) Alexander H. Graham (1890-1977) who was an attorney and politician who had served in World War I and served as the 17th Lieutenant Governor of North Carolina, 2) William Franklin Graham Jr. (1918) who is an American Christian evangelist, ordained as a Southern Baptist minister, who rose to celebrity status throughout the nation, known for broadcasted sermons and large indoor and outdoor rallies, and served as a spiritual advisor to several American presidents, 3) Benjamin James Graham (1973) who was a former Australian rules footballer turned American football punter who played for four different NFL teams between 2005-2012, 4) Bruce John Graham (1925-2010) was a Colombian-American architect best known for the Inland Steele Building and the Willis Tower, 5) Frank Porter Graham (1886-1972) who was President of the University of North Carolina and a United States Senator from North Carolina for several months in 1949-1950, 6) George Scott Graham (1850-1931) who was a Republican member of the U.S. House of Representatives from Pennsylvania, 7) George Graeme (1565-1643) who was a Bishop of Dunblane and Bishop of Orkney, who was a late sixteenth and early seventeenth century Church of Scotland relate, 8) Gwendolyn Graham (1963) who was an American lawyer and politician who served in the U.S. House of Representatives from Florida’s 2nd district from 2015-2017, 9) Heather Joan Graham (1970) who is a famous American actress born in Milwaukee, Wisconsin, who is best known for her roles in Swingers, Austin Powers II, and Boogie Nights, and 10) Louis Edward Graham (1880-1965) who was a member of the U.S. House of Representatives from the 25th district. The main heraldic symbol in the Graham Coat of Arms (mistakenly called the Graham Family Crest) is the escallop. The escallop occurs often in arms, represented as the outside of the shell, sometimes “fluted” of a different colour. It has been part of heraldic tradition almost from the beginning of the art, Henry III of England awarded Gules, 3 escallopes argent to Herbert de CHAMBERLEYNE in the 13th century, and it is present in the heraldry of almost all countries. It is believed that they were adopted as badges of those going to the Holy Land and can be found in the arms of many a crusading family. Hence Wade’s suggested association of the scallop with those that “complete long journeys to far countries”. I was looking for the reason we have the birds on the badge – what is the reason for the choices, what do they symbolically represent?